My work recently moved to Olympic Village and because of this I have had the chance to explore the restaurants available in the area more. It’s developed a lot in the past few years and if you haven’t been by, you’re missing out. Seriously, the only place I used to come visit was Marios Gelati and now there are sit down restaurants, bars, small indepdent restaurants and even several coffee shops. 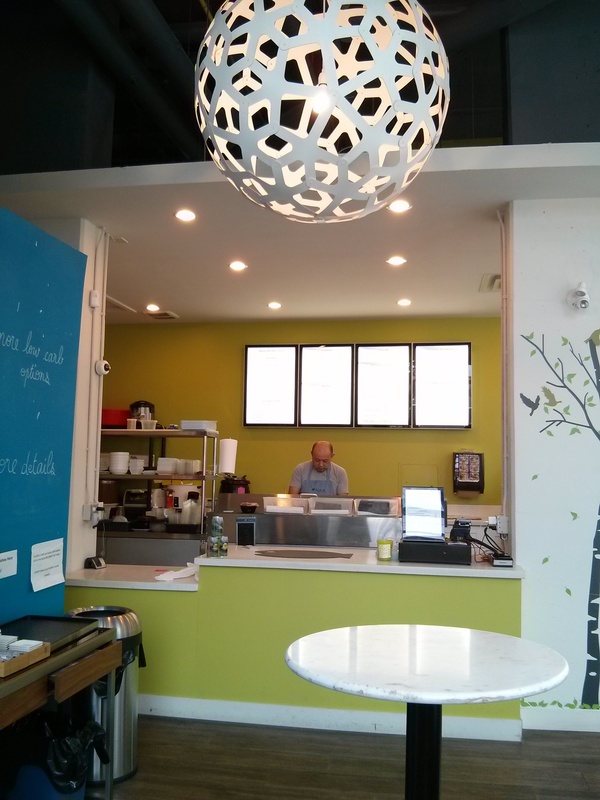 AQUA Sushi + Juice Bar offers delivery, takeout and dine in sushi and juice. Though be warned, their dine in option is more cafeteria/self serve style than a sit down restaurant. If you want a sit down restaurant, you’ll want to walk two block to Manna Sushi. 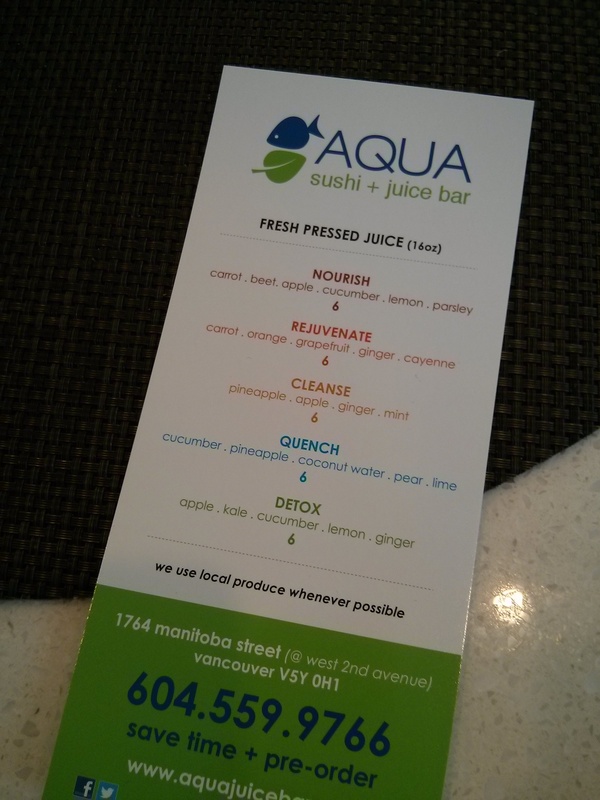 As I mentioned, AQUA offers fresh sushi and juice, which when you first think about it, is kind of weird and ew. Because raw fish and juice? But it actually works in this case because AQUA really focuses on quality ingredients and providing healthy alternatives to their customers. You won’t see a deep fried California roll at this place. I DO wish they had hot options. It’s so chilly right now, I’d kill for ramen noodles or a warm rice bowl. The food here is probably more pricey than a standard take out sushi place. But I have never been one to frequent super cheap sushi restaurants. 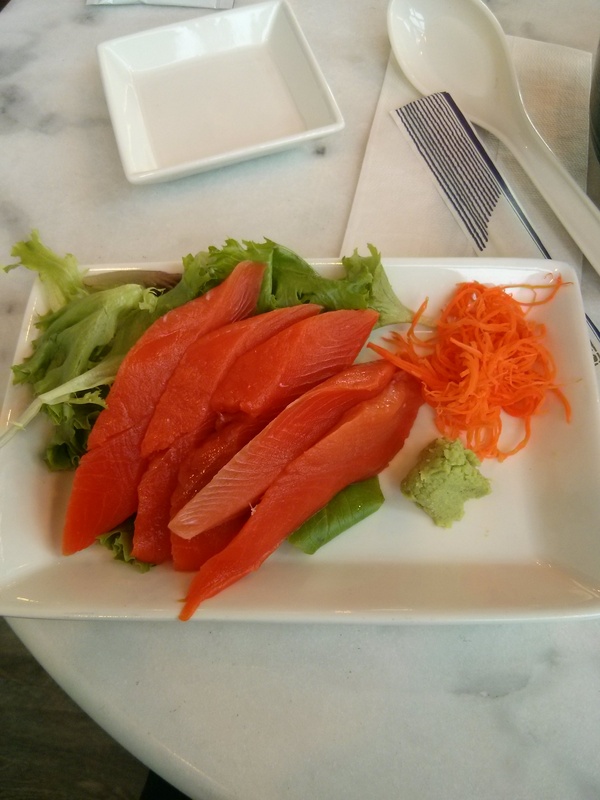 Because, hello….raw fish? You really want to take a chance on that? If you are, clearly you have not experienced the joys of food poisoning. Anyways…. This particular visit I ordered wild salmon sashimi (5 pieces), a miso soup and a low carb phili roll (4 pieces) with their cucumber wrap. With tax it was $20.00. You are probably saying “WOOOAAAH” that’s pricey. It is, but when it comes to healthy eats, I have found it is never cheap (especially if it’s a low-carb option). Their regular rolls (which are all made with brown rice) are actually pretty reasonable, considering most places charge you extra for brown rice. Rolls run for about $9 – $3.50. I am not the biggest juicing fan, but if you are, juices are $7 for a large and $6 for a small. They always seem to be updating their menu as well, which I really love. The cucumber wrap option is quite new and recently, they’ve also added Quinoa Sushi Cones to their menu, which will run you anywhere from $3.25 to $3.75 per cone. To see what else AQUA has to offer, visit their website or follow them on Twitter @aquajuicebar or like them on Facebook.